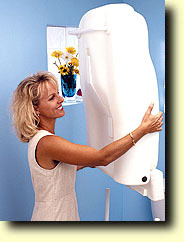 The ShowerBaby® is free standing (does not mount on the wall) and takes only minutes to assemble and install, making it also totally portable. The unit comes fully assembled except for the legs, which connect in just seconds. No tools are required. Slide the upright legs onto the floor support legs. 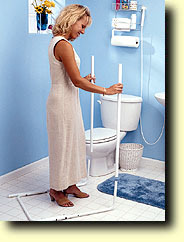 Slide the hinge bracket onto the upright legs.